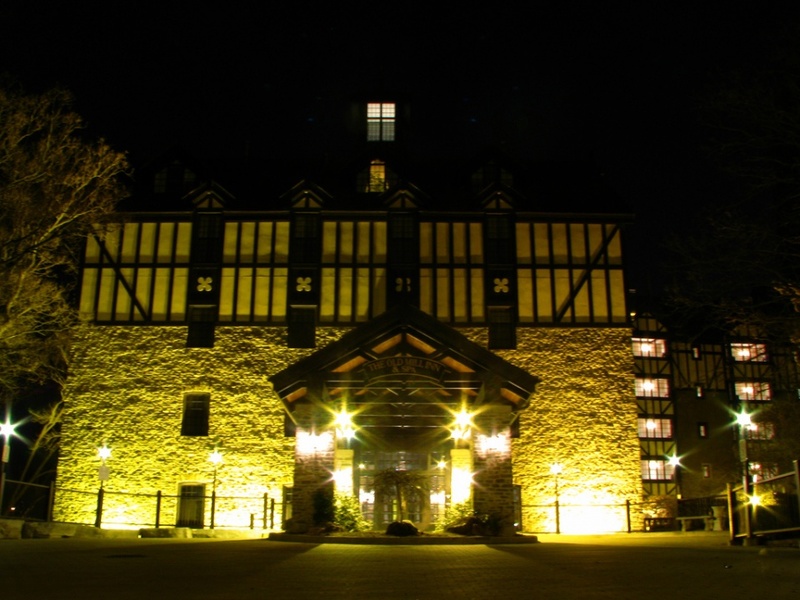 Recently, there have been many debates about substantial Toronto buildings lacking aesthetic taste. Making a list of the worst buildings is no simple task. 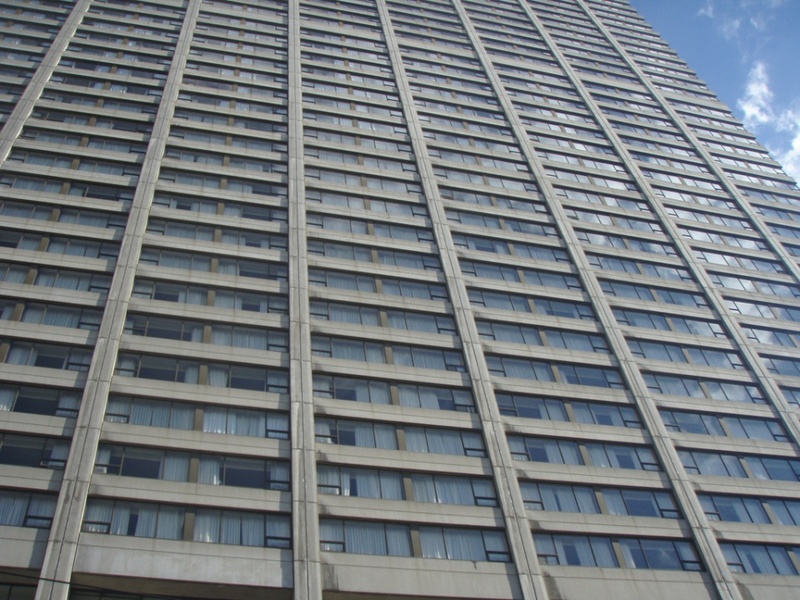 Unfortunately, there are several buildings that Torontonians aren’t really proud of. 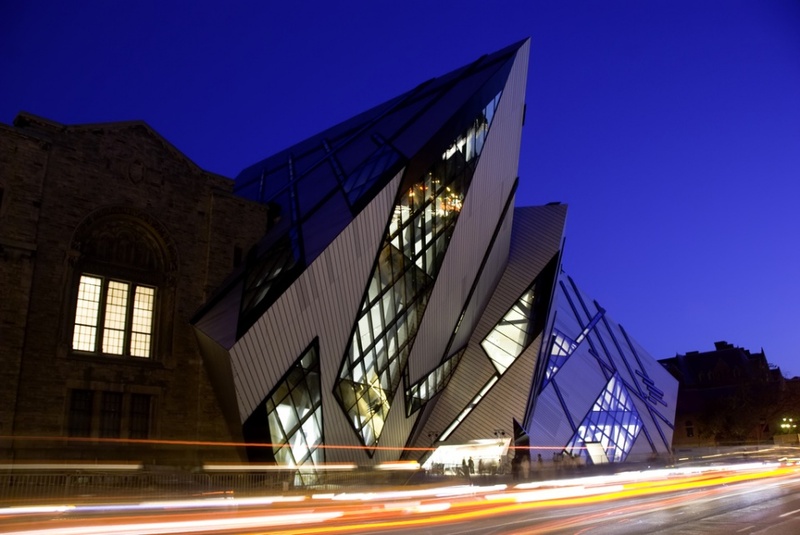 For example, the Royal Ontario Museum’s Crystal was selected as one of the world’s top ten ugliest buildings by a tourism website, VirtualTourist.com. Probably the biggest threat to Torontonian architecture is the huge number of new mediocre structures that have been raised. 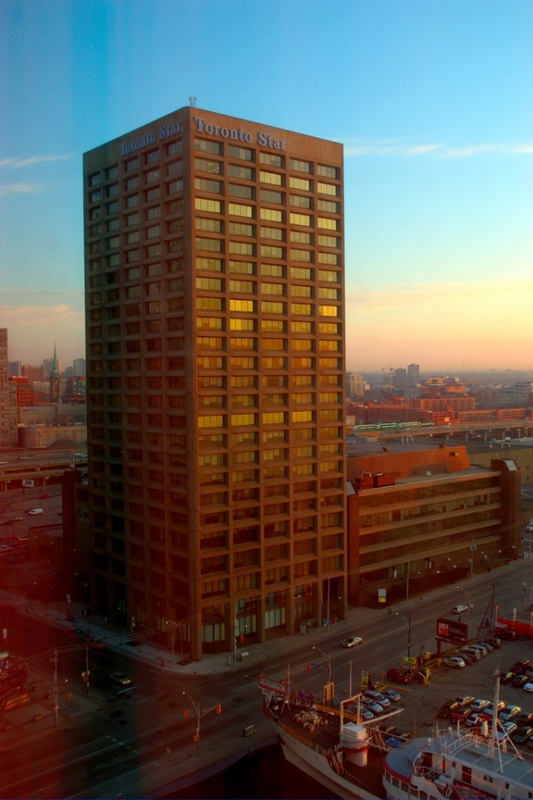 This is a collection of the seven most notable and aggressive unfortunate buildings of Toronto. The ROM Crystal is one of the most controversial structures in Toronto. Not only was it mentioned by the VirtualTourist in its collection of the worst buildings in the world, but it was also declared by the Washington Post to be the worst piece of architecture erected in the last decade. The complicated interior spaces are both too straightened and confusing, and the exterior is simply distasteful. 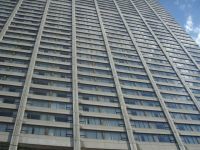 The Sheraton Centre is another enormous concrete slab located in downtown Toronto. This tall but dysfunctional grotesque was just another unsuccessful attempt in the name of modernism. 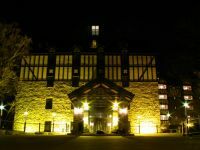 The biggest highlight of its incompetence is its locked door, which you can encounter when trying to enter the hotel from the bridge over Queen street. 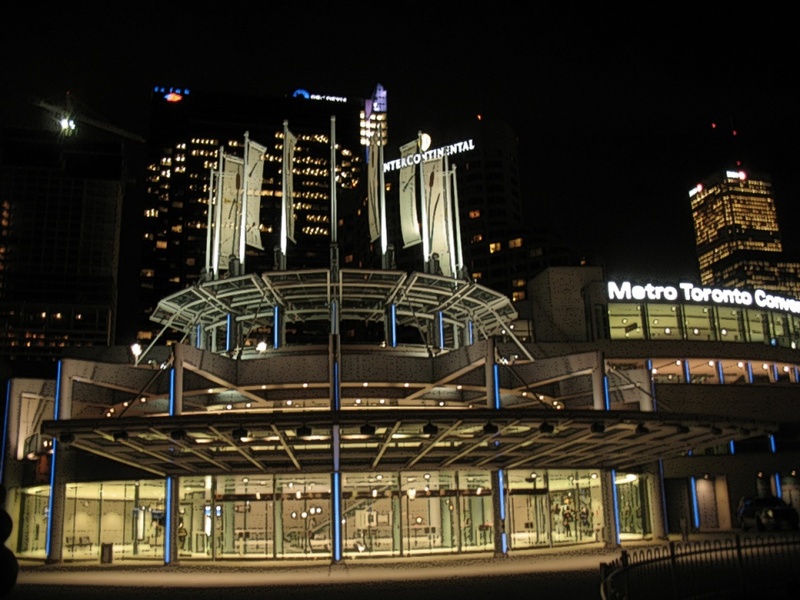 Have you ever seen a convention centre that is an architectural gem? Designing a building that should encircle a huge utilitarian space is not an easy task. However, these blockhouses tend to be hidden somewhere where they’re not so bothersome. Unfortunately, this is not the case of the ugly, bunker-like Metro Convention Centre, which is an eyesore right on a downtown street. The MCC is a sad reminder that there are many unfortunate concrete chunks that annoy many Torontonians. 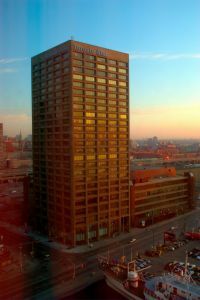 This 100-metre-tall home of the Toronto Star newspaper was nominated by over 20 per cent of its readers as the ugliest building in Toronto in August 2006. It’s true: this concrete eyesore, situated at a strategic focal point of the waterfront, can’t be ignored. 1 Yonge street is a sorrowful example of brutalism and distastefulness. The ruins of the the Old Mill were rebuilt into a disgraceful and offensive absurdity that completely ruined the cultural and archeological heritage of this place. This structure is not just an ordinary piece of ugly architecture: it is also a manifestation of disrespect for heritage. Its disharmonious combination of modern elements and the rebuilt ruins is repulsive — and what’s even worse, this place has lost its spirit. 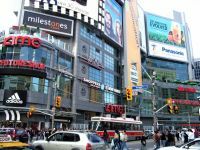 This massive retail, office, and entertainment complex on the north-east corner of Yonge and Dundas is often compared to an unattractive ogre or to an ugly vehicle for advertisements. It’s impossible to ignore such a massive and vulgar structure. 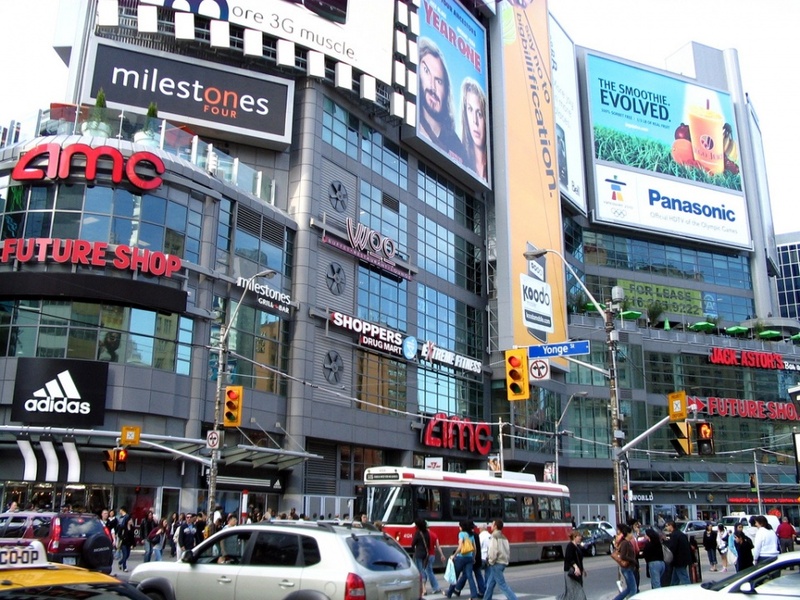 The worst thing about Toronto Life Square is its lack of originality. Similar office/entertainment monstrosities can be found in many big cities (New York, London, et cetera). 5. Correction. 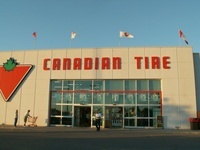 Canadian Tire located on Dundas Street East east of Bay Street. Thanks for stopping by Ron, the image has been corrected. 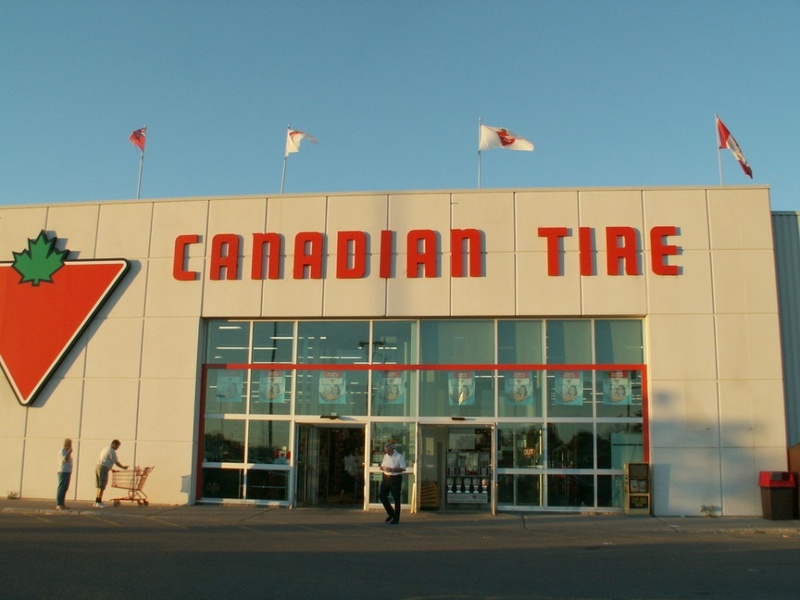 The one on Dundas Street East east of Bay Street is actually different than most of the Canadian Tire stores. You missed the worst one: 2333 Dundas West aka Bloor Dundas Square. It’s a banal low-rise retail with a brown squat five floors of office block stuck in the middle of it, and stuck to the top of that is seven floors of apartment block. Alone they would be mediocre, but jammed together they are a hilariously hideous eyesore I couldn’t believe when I first saw it. No Toronto Ugly Building list is complete without it!